The largest photovoltaic, or PV, power plants in Europe were Montalto di Castro Photovoltaic Power Station in Italy (84.2 MW), Finsterwalde Solar Park in Germany, (80.7 MW), Rovigo Photovoltaic Power Plant in Italy (70 MW), Olmedilla Photovoltaic Park in Spain (60 MW), Strasskirchen Solar Park (54 MW) and Lieberose Photovoltaic Park in Germany (53 Mwat the end of 2010. On average, 1 MW of power can supply electricity to as many as 300 households per year. Koornstra said the company planned to manufacture the solar panels in Turkey rather than importing. According to the Turkish Renewable Energy Law, the purchase price for electricity generated from solar power is $0.133 per kilowatt hour. 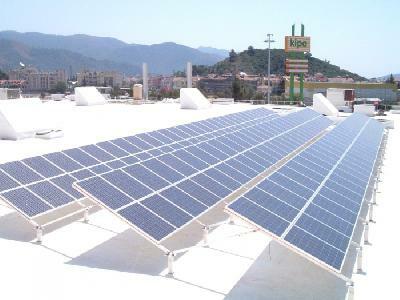 The law also offers a further incentive to renewable energy facilities and states that, provided the technical equipment used in the facility is produced within Turkey’s borders, the facility will be paid an additional $0.004-0.024 per kilowatt hour of electricity purchased by the state for five years after the plant becomes active. According to data provided by the chief executive, 20 percent of the amount is slated to be invested by the business partner while nearly 80 percent of the amount could be met with outsource sources, such as Eximbank credits. “We are now also discussing the financial matter with our Turkish partner,” he said. In the long term, it is better for Turks to have solar panels in their houses than buy power from the grid, he said. “They always told us that it was safe and stable and now it’s obvious that it’s neither safe nor stable,” he said. Noting that hybrid energy sources such as wind and solar plants are safe and sustainable for the economy and environment, Koornstra said solar power had become more affordable in recent years, adding that such power presented none of the running costs, storage problems or maintenance problems of nuclear plants. Recent research at Duke University has shown that sophisticated new solar energy production methods make the cheapest and least hazardous energy source that is cheaper and safer than nuclear power, according to United Press International, or UPI. The study said the cost of producing and installing PV cells had been steadily dropping for years and now cost about half of what it did in 1998.